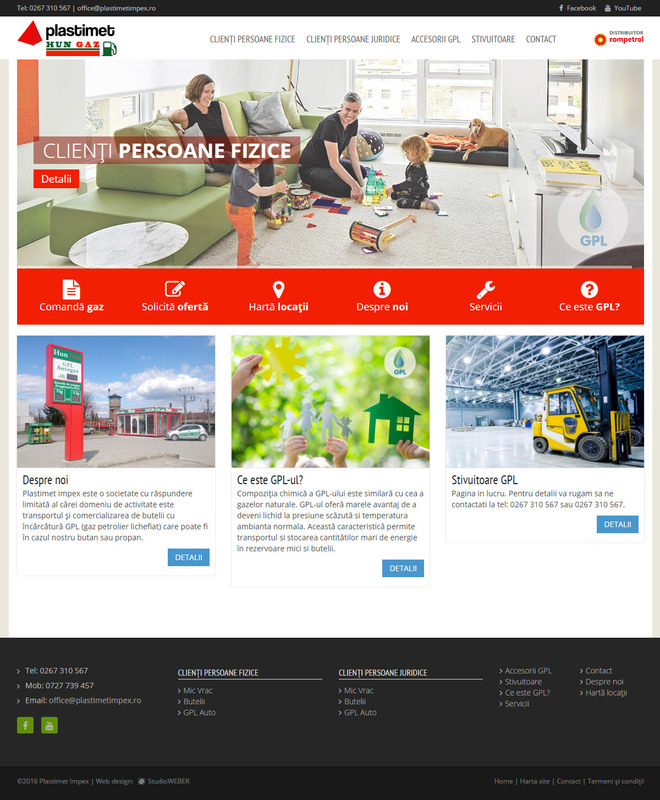 Corporate website design - Presentation site for Romanian LPG retailer. 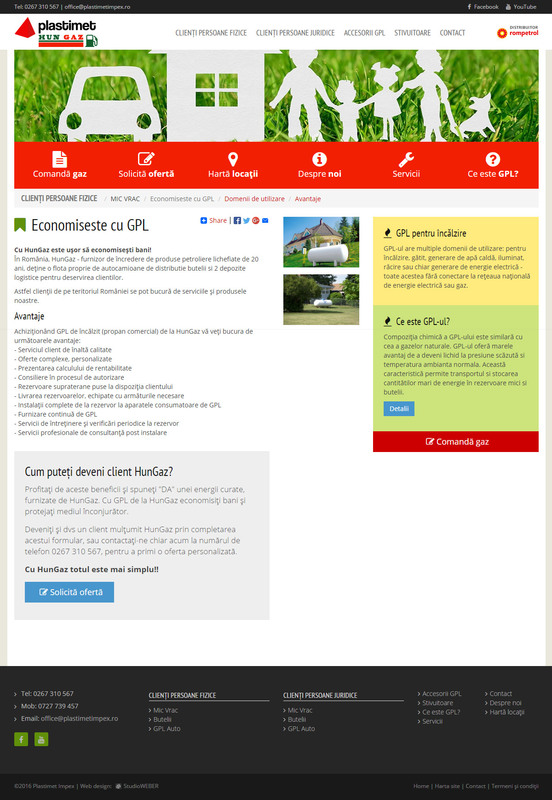 Plastimet Impex – One of the most important LPG retailers in Romania. They needed a new visual identity together with a new website. We created the logo and the presentation website. The color palette is rich, with a lively red band on the top area of each page. It features a mega drop-down menu with a smooth transition slider on home page. The site is responsive and has a Content Management System (CMS) which is custom built for this project. The CMS allows the admin to perform basic SEO functions such as meta title, meta description and meta keywords.